Stop by this Saturday, April 30th to meet with the featured artist Ann Tarnowski about her art and exhibition Harmony;Discord;Desiccation. Ann will be at Deer Lake Gallery from 12 – 4 pm. Harmony; Discord; Desiccation is a mixed media solo exhibition that will be held at The Deer Lake Gallery featuring the work of Ann Tarnowski. 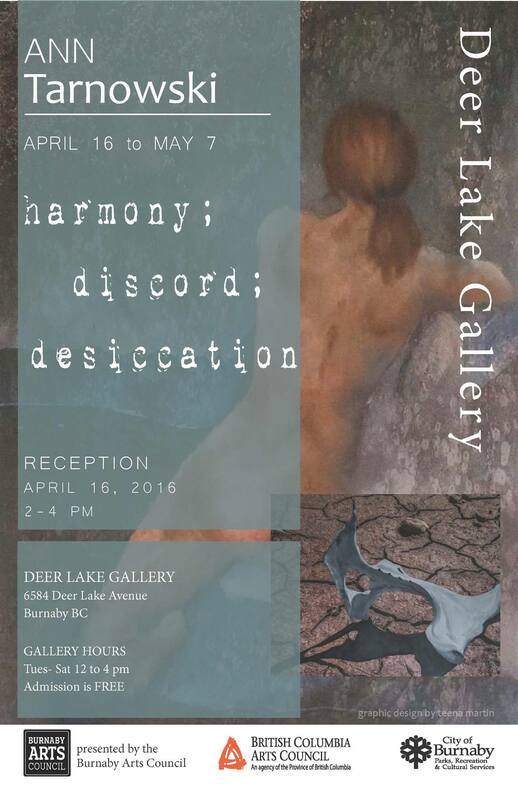 Harmony; Discord; Desiccation is hosted and organized by The Burnaby Arts Council. The exhibition will open Saturday April 16th 2016 and run until May 7th 2015. Please join us for the opening reception of Harmony; Discord; Desiccation that will be held Saturday, April 16th 2016 between 2-4 pm at the Deer Lake Gallery. Ann Tarnowski is Vancouver based visual artist, merging photography with mixed media painting. A now retired school counsellor, Ann used art therapy as a means of aiding students to work through a variety of problems. 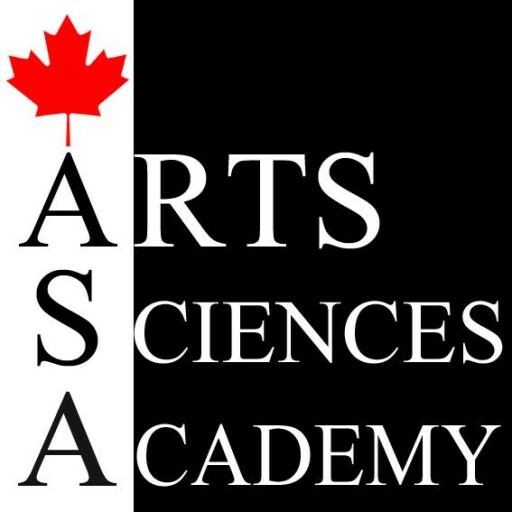 She has a Bachelor of Fine Arts from York University in Toronto and has previously worked a number of years as a graphic designer. In Harmony; Discord; Desiccation, Ann Tarnowski merges oil painting with photography to create a striking visual representation of her view of mans relationship to nature. Starting with harmony leading to discord and eventually to desiccation, Tarnowski takes the viewer through a progression of mans impact on the environment and inexorably on himself with this series of images. The viewer can notice the total shift in emotion from the first set of paintings right through to the last as the human transforms from peaceful to inexistent. The colour palette of blues and greys is important in this series as it relates the image to the depiction of what it symbolizes, which is death. 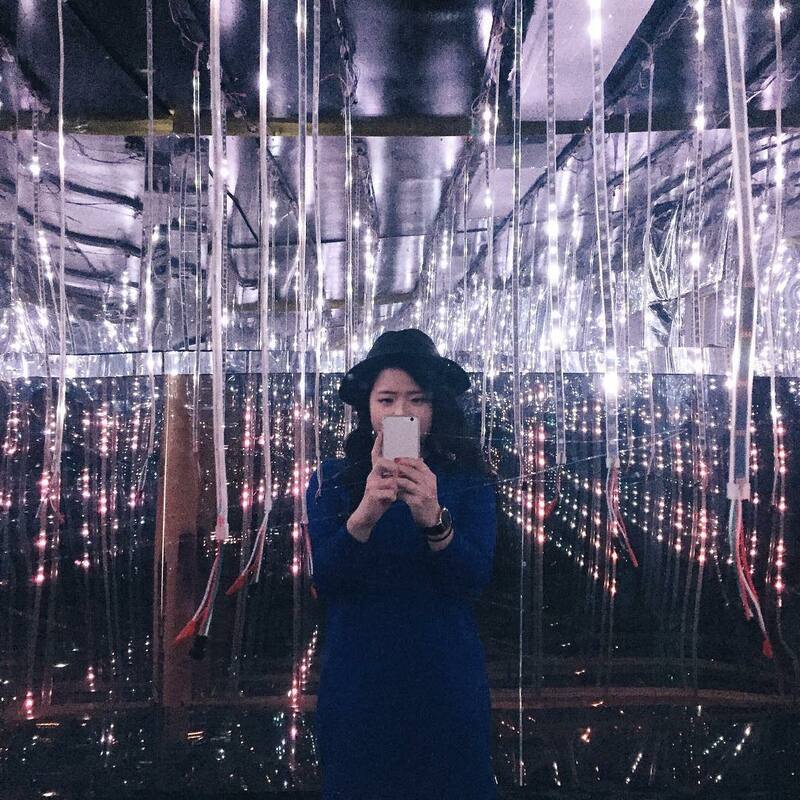 Her work enables the viewer to imagine the eventual demise of man and to question whether or not we can reverse, halt or at least slow the process. Tarnowskis work is very of the times and illustrates the question of the future of human existence that plagues us all in the world today. Please join us for the opening reception of Harmony; Discord; Desiccation that will be held April 16th 2016 between 2-4pm at the Deer Lake Gallery.